Are flying cars coming out soon? I want to talk to you about the future and this time, I really do mean flying cars! But also 3D printed motorbikes and driverless vehicles. Big news, at least for Sci-Fi and car nerds such as myself. 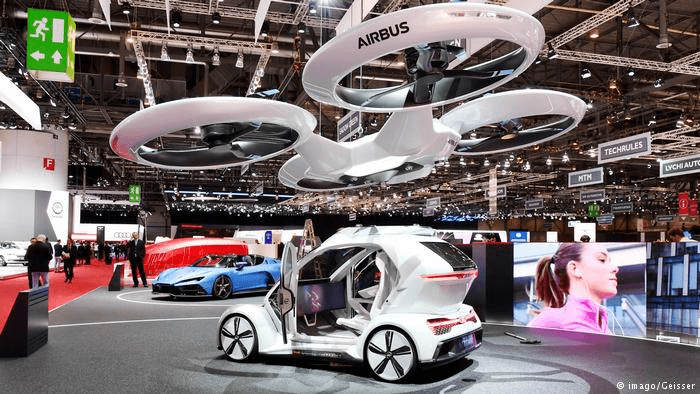 Audi, working with the Airbus subsidiary Voom recently brought us a demo of their flying taxi project. This somewhat in-elegant prototype successfully demoed Audi’s modular concept. The drone landed, waited for the wheelbase and pod to dock below, collected the pod, carried it and then dropped it back into the wheelbase. The scale model is somewhat more aesthetically pleasing, although does slightly resemble a Smart car with wart-like growth on its back and somewhat substantial set of propellers. It should be noted that the propellers would take up considerably more space than a standard car. It leaves one wondering exactly where these cars will be landing in a crowded city environment, exactly what the concept is designed towards. They also look suspiciously close to head-height. Regardless, I’m excited to see how the testing goes in Ingolstadt, Germany (Audi’s headquarters) and, if you believe the rumors, Mexico. This design is geared as a commercial “taxi project” obviously limited by the fact that the corresponding bases would need to be close to the landing spots. This design is more suited to commercial applications than personal and would likely only be able to take passengers to a set number of locations. But it’s not just Bernd Martens that thinks flying cars are the future. Paramount seems to agree. Over in Miami plans are underway to create the Worldcenter, which is a pretty cool site in itself. The penthouse suite will be built with a landing pad, for the “cars of the future”. Maybe flying cars will be here sooner than you think, if only for the super-rich. 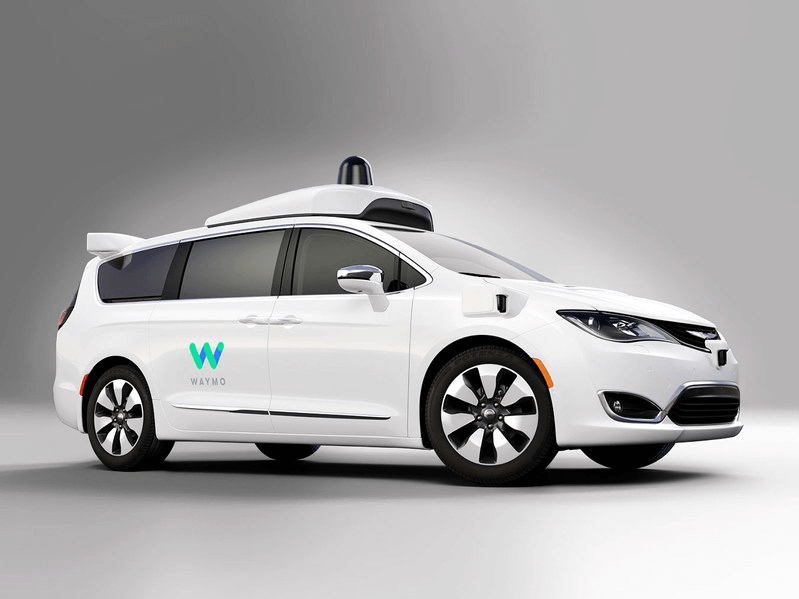 While we wait for the flying cars promised to us in Back to the Future, why not try out the self-driving taxi service recently announced by Waymo in, where else but The Valley of the Sun a.k.a. the Phoenix Metropolitan Area? The Waymo One project seems to work in a similar function to Uber, in that it is app based. To begin with, drivers will be driving alongside the taxi service… a curious solution to a driverless vehicle, but the company hope to change this further down the line. The Waymo driverless vehicles seem to suffer the same affliction: having a strange growth attached to the bodywork. Then again maybe all future car designs will be white with a lump attached, if the Volvo 360c, driverless car is anything to go by. Meanwhile, over in Germany, manufacturing company BigRep have been producing a 3D printed motorbike, for those of you that think 4 wheels is excessive. The electrics are embedded into the material and EVERYTHING is 3D printed, even the tires! This means that they are airless. BigRep first demoed these tires on bicycles. If you saw Michelin’s 3D printed Vision Tires last year, you’ll know about the huge potentials of a tire that won’t puncture, has a reduced carbon footprint, can have its tread re-printed and in my humble opinion, looks way cooler than any alloys I’ve ever seen. The overall motorbike design looks like it would fit well inside Batman’s garage, albeit as a somewhat crude prototype, but it does look more than a little wobbly handling wise. Which has been picked up on the comments on YouTube. What do you think, is the world ready for flying cars or is it simply pie in the sky thinking from some idealistic project managers?